#1 Best Deals on Hotel Rooms! Take a look around and you will find that in January you can get a hotel room mid-week near Clifton Hill from as low as $50 per night. This is a drastic difference from Summer rates and holiday weekend rates. 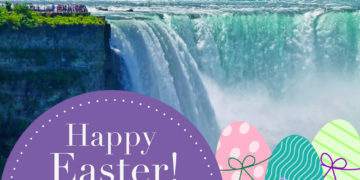 Clifton Hill area hotels are close to all the action and excitement of Clifton Hill and the Niagara Parks attractions, and also only steps away from view the splendor of the Niagara Falls. #2 No Need To Travel Far, Everything is Within a Block to the Falls! When you face temperatures in January that dip well below the freezing mark, the last thing that you want to do is travel long distances. 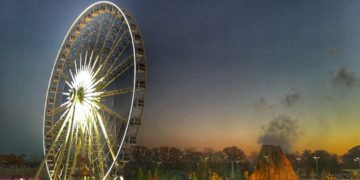 This is why the Clifton Hill Fun Pass is your ticket to fun and convenience in the Winter. 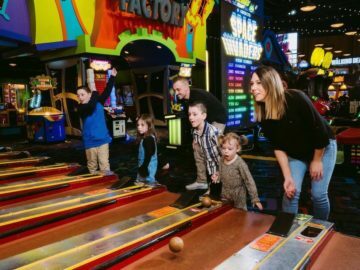 All of our attractions are located on one spot — on Clifton Hill! You will not need to travel via car or bus between these facilities, thus causing you to spend more money that you didn’t plan on spending. Everything is located in one central spot. 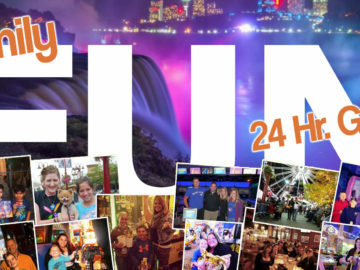 Have fun and snap away as well — we also have WiFi to add to your experience at these attractions. People are flocking from all over the world lately to catch a glimpse of the “Frozen” Falls. While not really frozen (the water still flows freely underneath the ice), it is quite the view to witness and makes for incredible Winter photographs. The miniature glaciers and long icicles that form are truly a photographers dream! 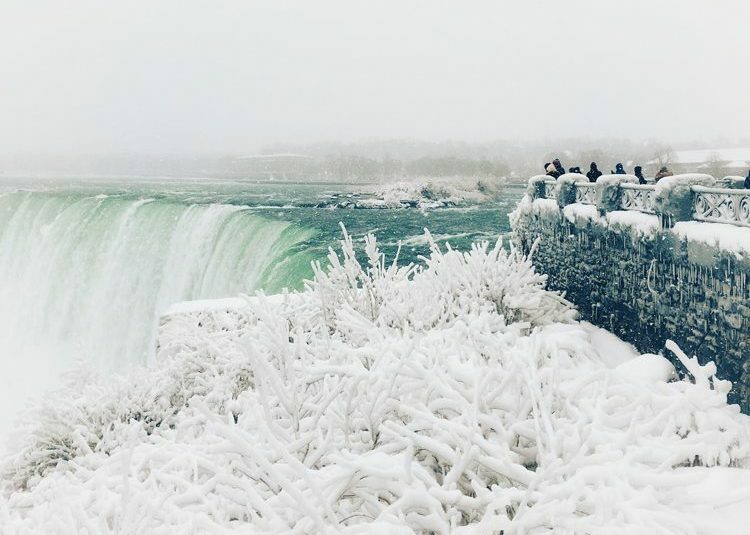 January is generally the coldest month in Niagara Falls, so it’s your best month to get these photographs (Check out these recent pictures!). That said, the flow of water that tumbles over the American Falls is much less than the flow of water that cascades over the Horseshoe Falls, so your most “frozen” views would be taken from here. 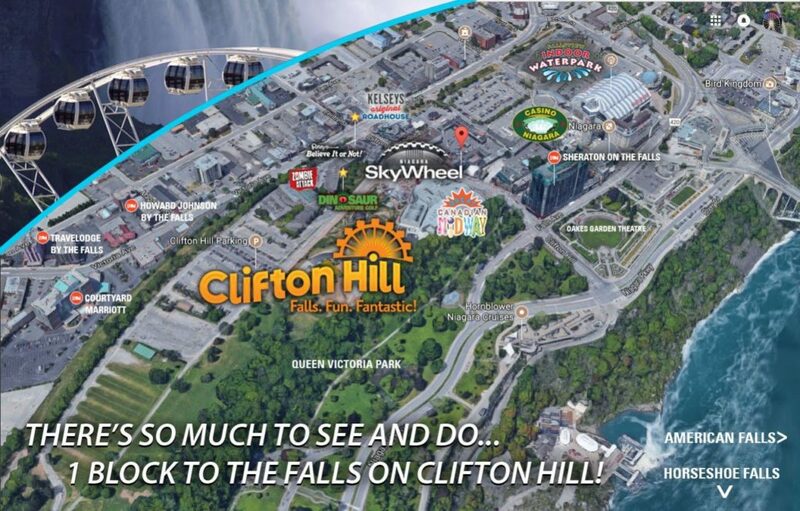 Conveniently, the American Falls and the adjoining Bridal Veil Falls, are located directly at the bottom of Clifton Hill — whereas the Horseshoe Falls are still approximately a 5-10 minute walk down the Niagara Parkway. Don’t miss the Niagara Falls illuminations in the evening, and if you are lucky enough, when it’s really cold you’ll have the best view of the ice bridge from this standpoint! 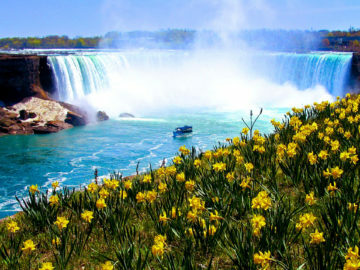 During the Summer, the Niagara Falls is full of crowds, The warm weather, frequent nightly fireworks shows, and the launch of the Hornblower Niagara Cruises boats draws thousands of tourists. 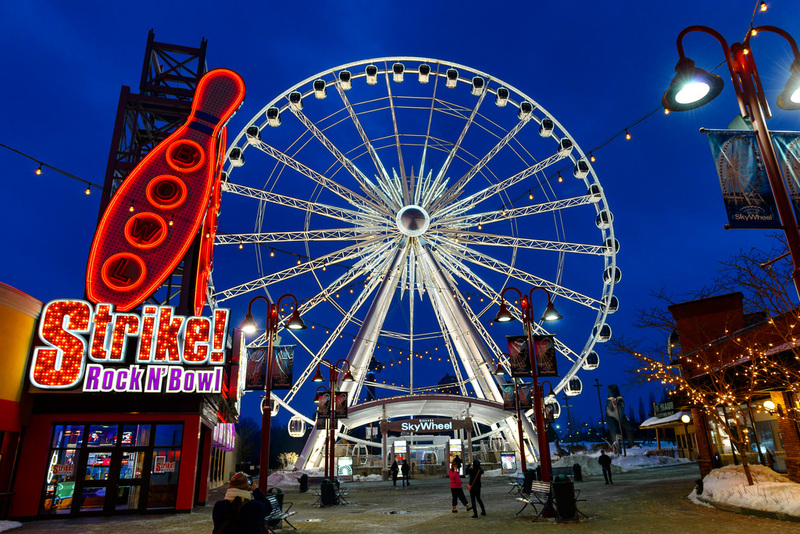 The Winter however, is a quieter time, and with the exception of a few attractions, the majority of Niagara’s attractions are still open — and this includes our Clifton Hill attractions such as the Niagara SkyWheel (which is heated and enclosed)! 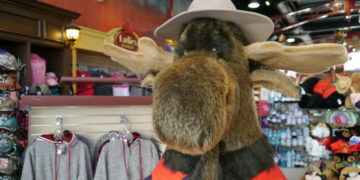 You will encounter very little wait times (if any at all) during the Winter time at our attractions and dining facilities.Along the Niagara Parkway there will also be far less crowds to contend with while taking your photo opportunities! 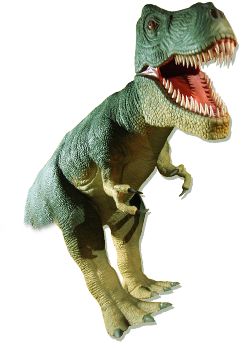 We have plenty of parking accessible in our Clifton Hill parking lot during the month of January.